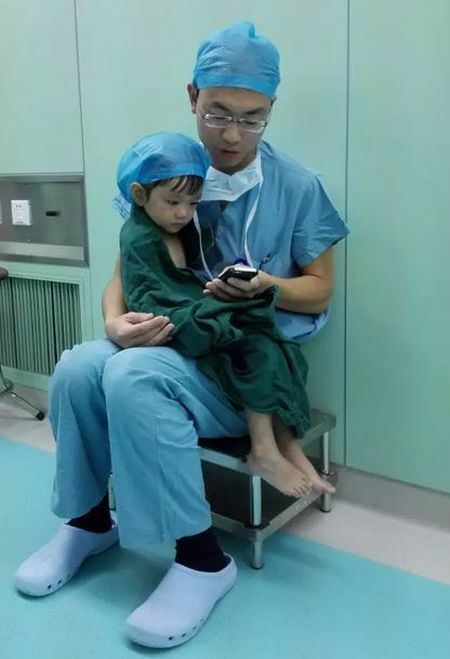 Surgeon, Shi Zhuo just has a a way with kids. 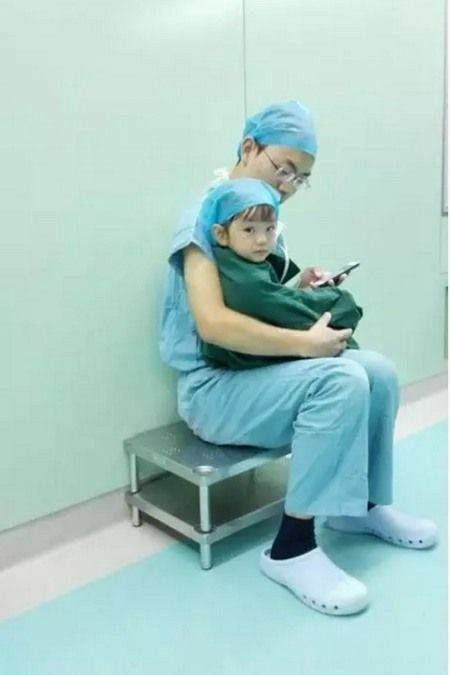 This surgeon knows how to keep them calm and relaxed. 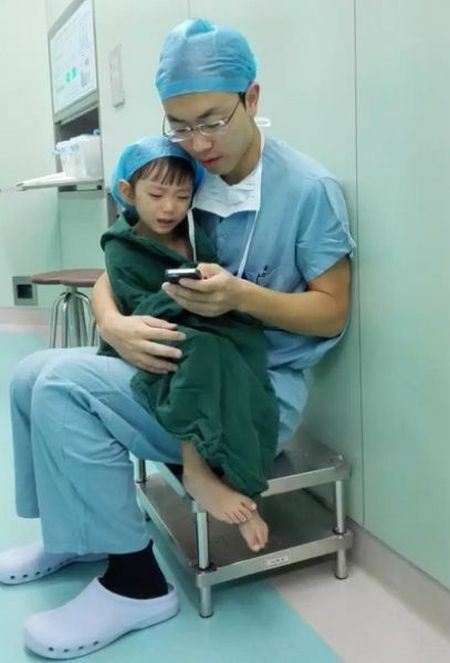 He often gets compared to Baymax from "Big Hero 6" because he's so good at comforting kids. With a damn smartphone?! Well, that's not really innovative... Nice he cares about how the kids feel though.